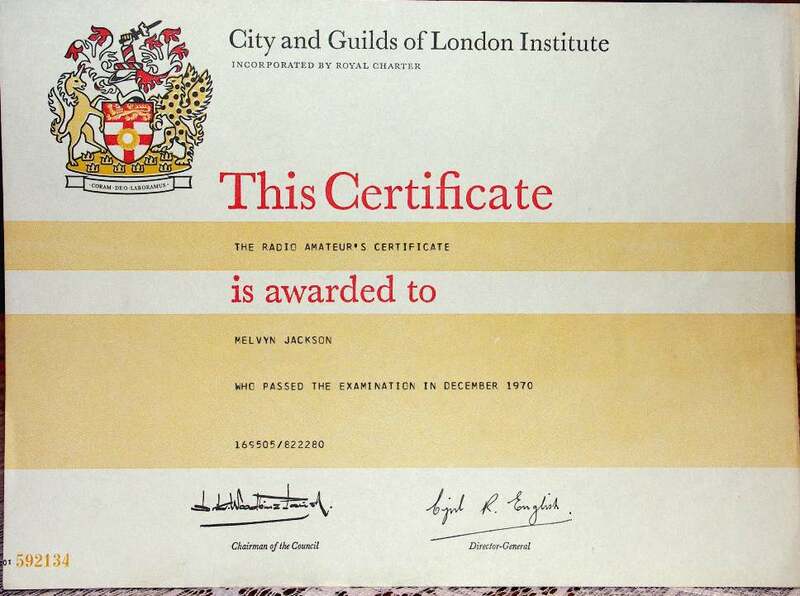 City and Guilds Certificate 1970. 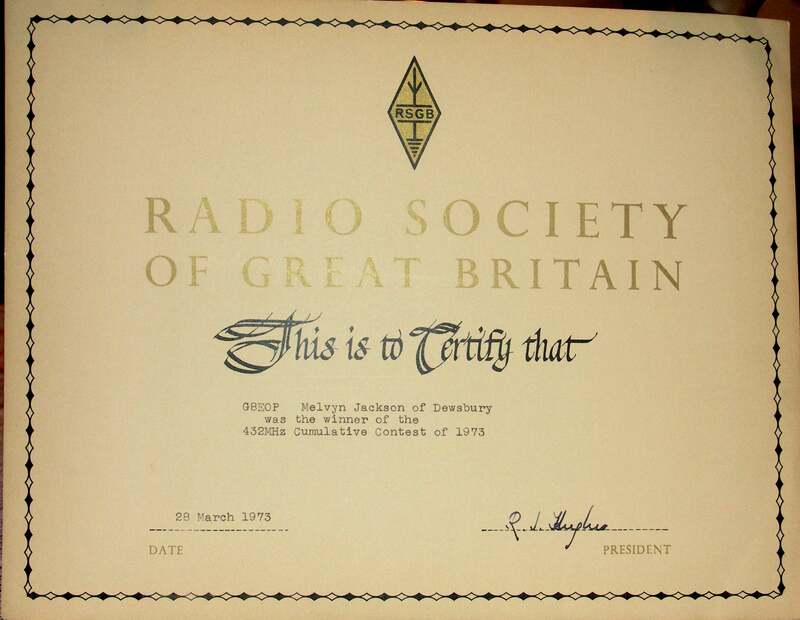 Radio Society Member 1971. note the Call G8EOP-M.
Four Metres and Down Cert #302 144MHz January 10th. 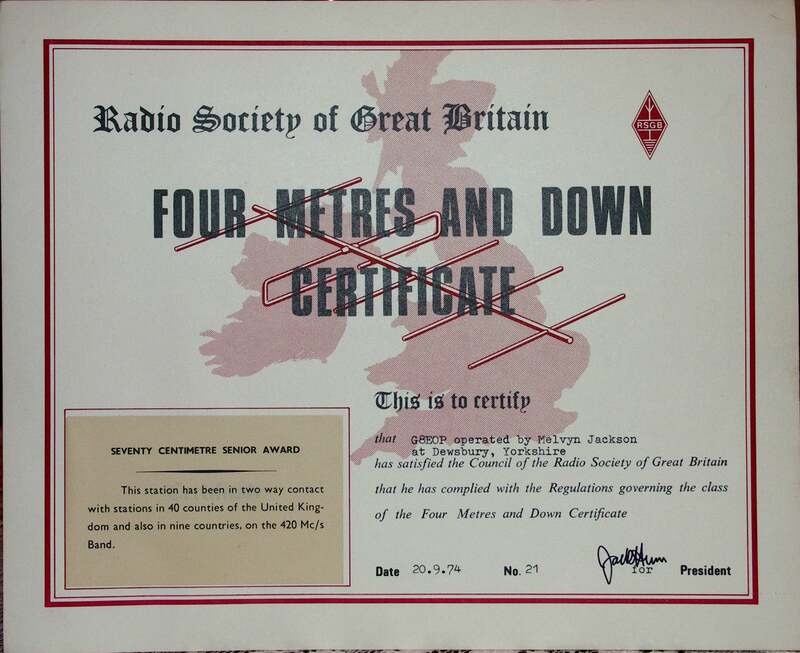 Four Metres and Down Cert #91 432MHz January 10th. 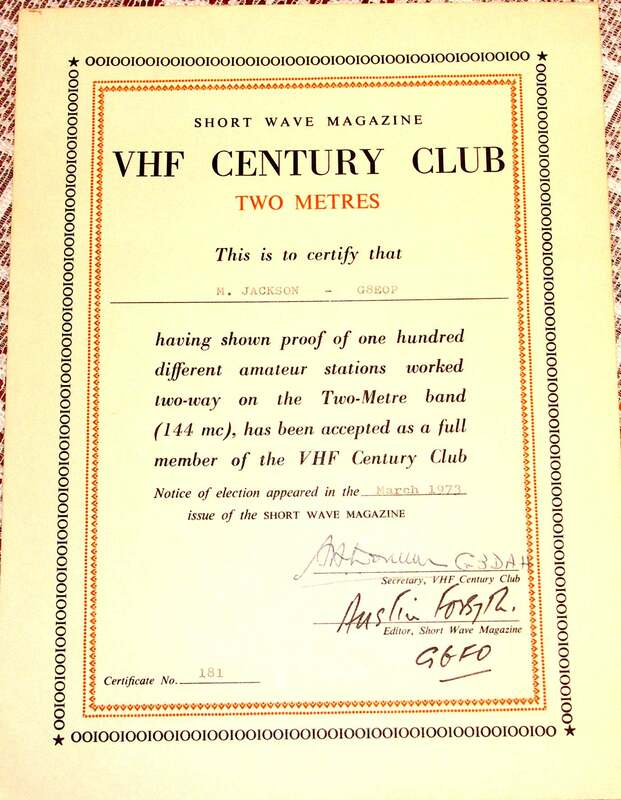 Short Wave Mag VHF CC #181 144MHz March 1973. 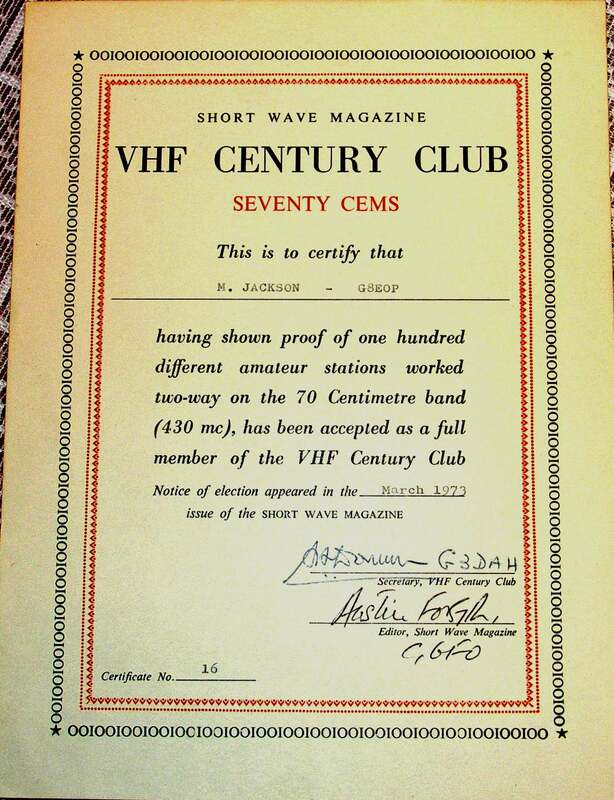 Short Wave Mag VHF CC #16 144MHz March 1973.. 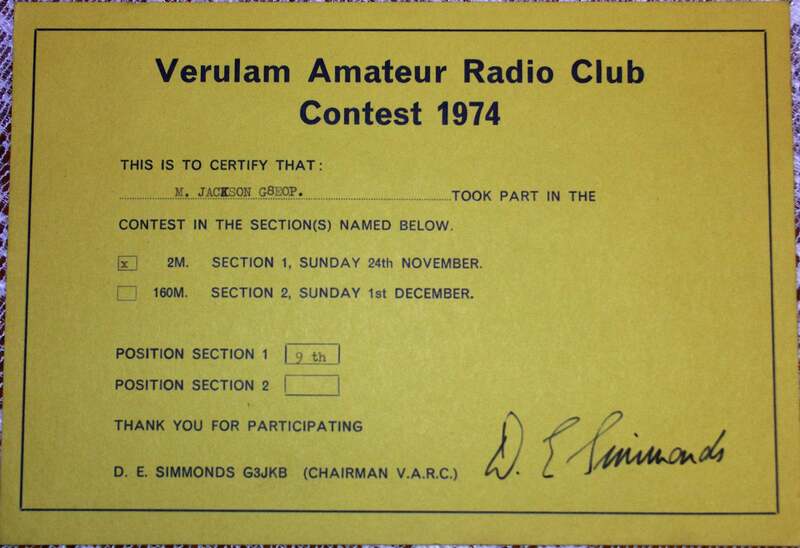 Winner of the 432MHz Cumulative contest 28th March 1973. 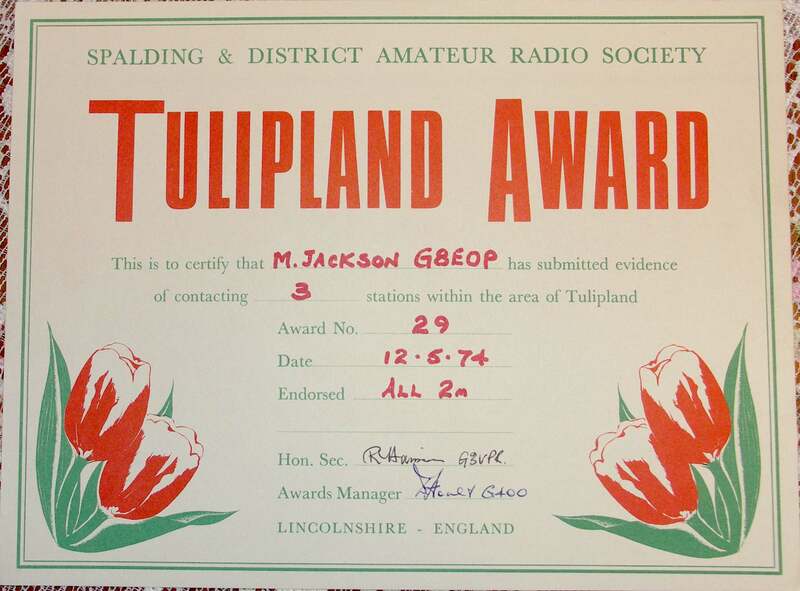 Spalding and District Amateur Radio Society Tulipland Award 12th May 1974. 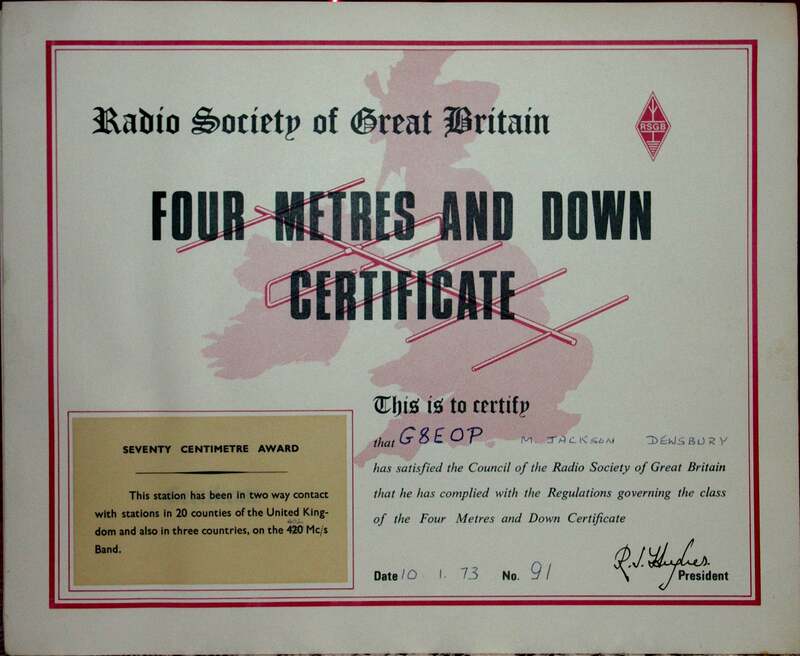 Four Metres and Down Cert #21 432MHz Senior, September 20th. 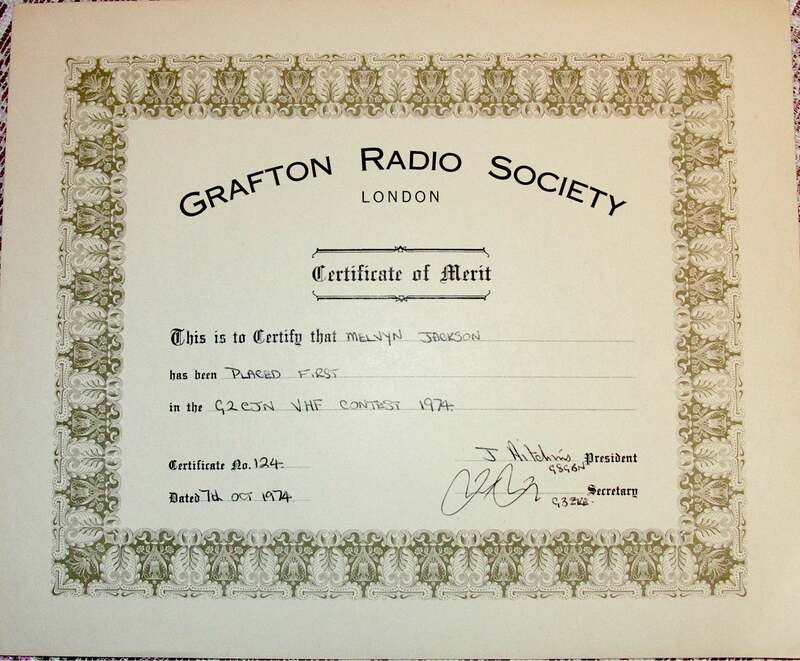 First Place in The GRAFTON Radio Society VHF Contest October 1974 . 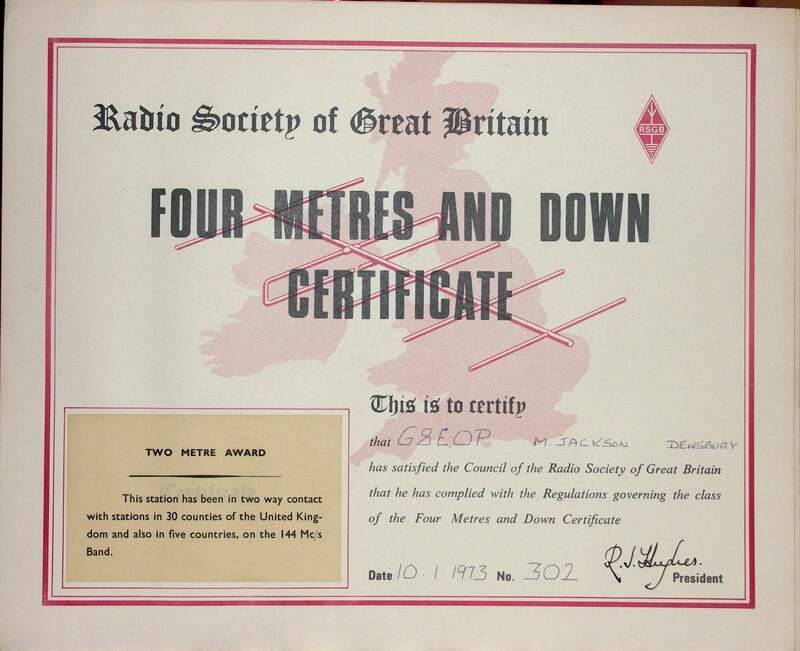 Four Metres and Down Cert #106 144MHz Senior, 1976 December 25th. 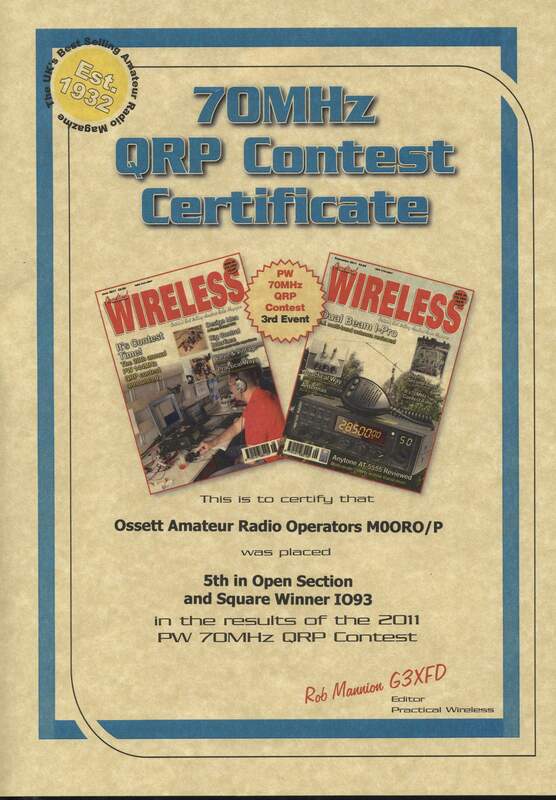 PW 70MHz QRP Contest 2011. 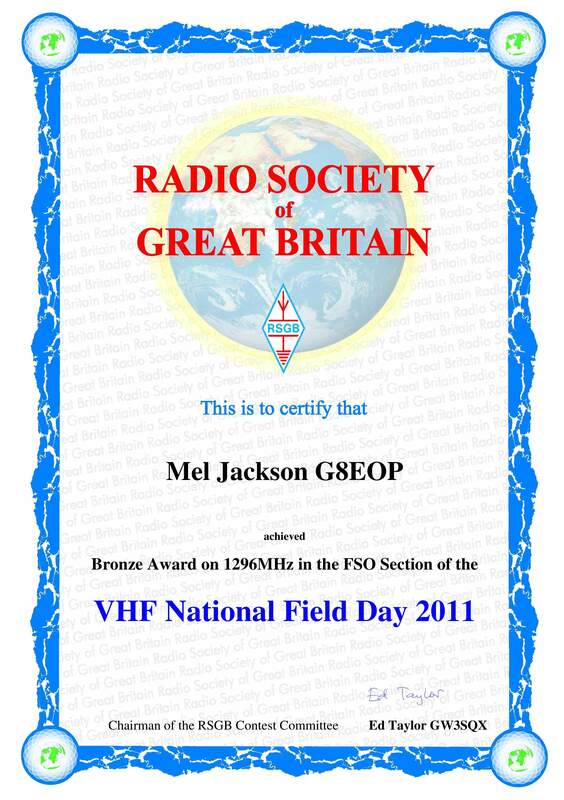 RSGB VHF NFD 1296MHz FSO Bronze 2011. RSGB SHF UKAC 2.3GHz Leading Club 2015. 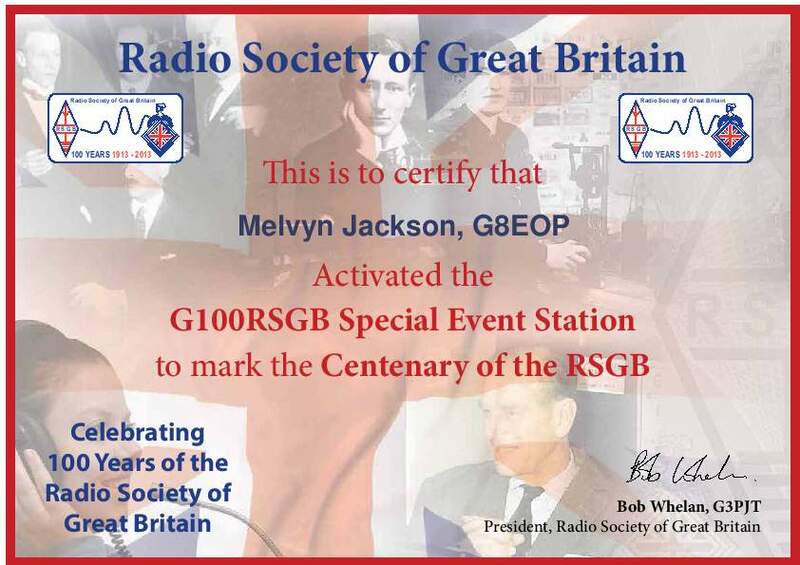 RSGB Bronze VHF NFD 1.2GHz FSO 2016. RSGB Bronze VHF NFD 2016. 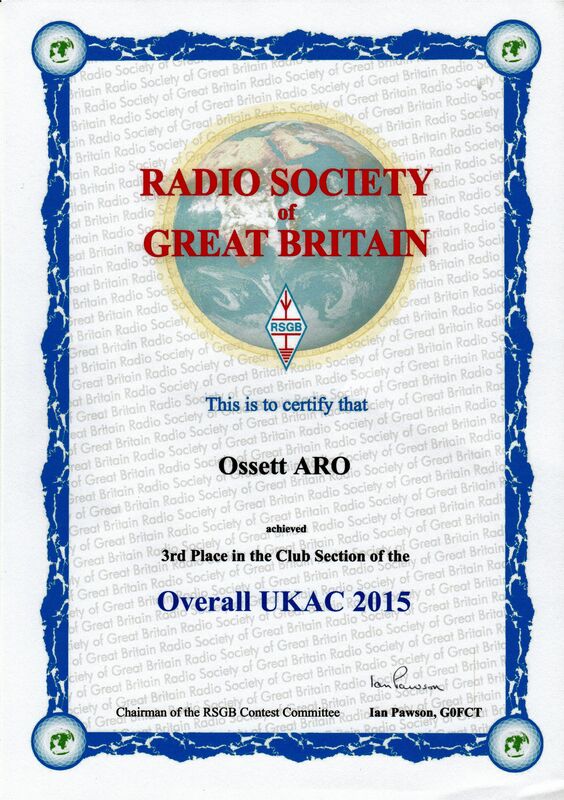 RSGB 4M UKAC 2016. Second Place Club 70MHz. 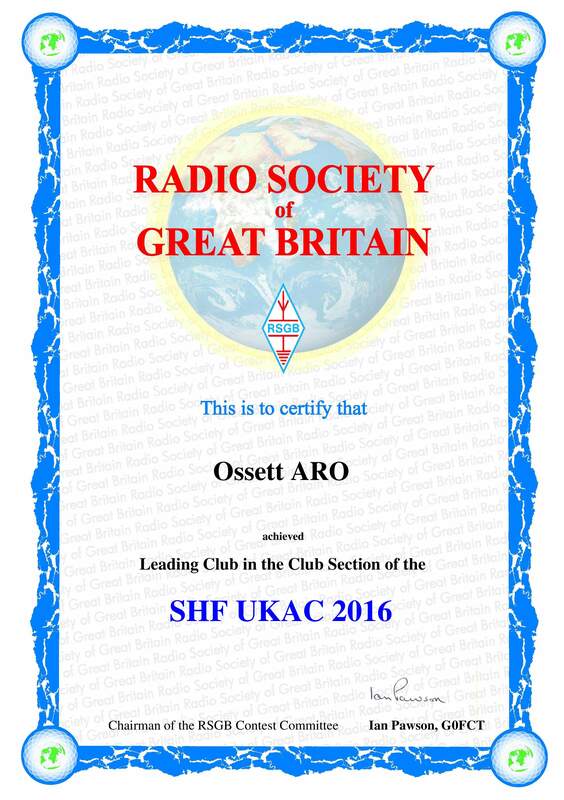 RSGB 6M UKAC 2016. Third Place Club 50MHz. 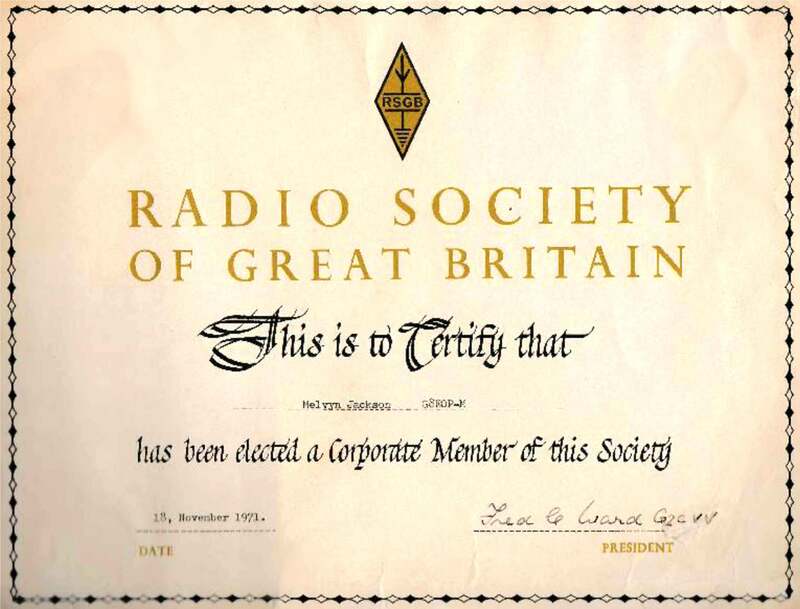 RSGB 144MHz UKAC 2016. 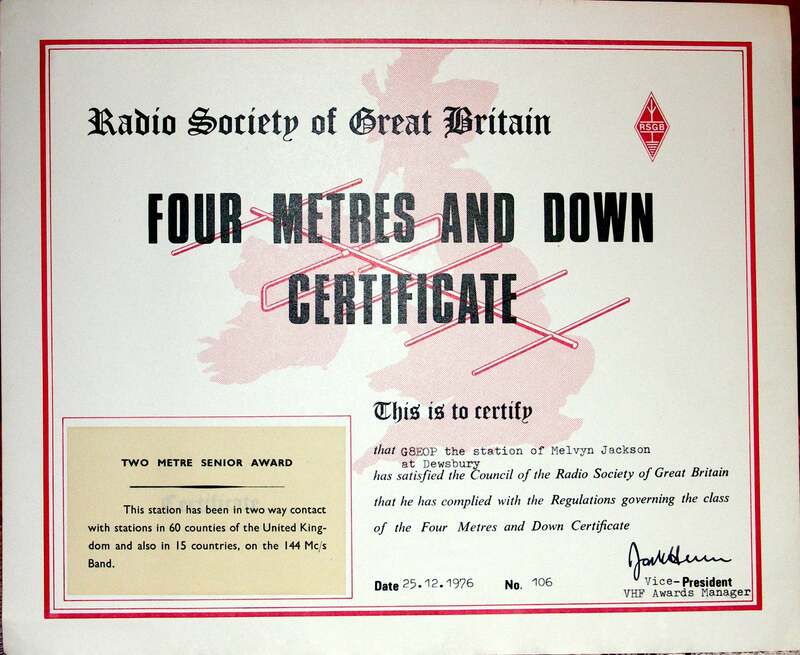 Second Place Club 144MHz. RSGB 432MHz UKAC 2016. First Place Club 432MHz. RSGB SHF UKAC 2016. Leading Club.